At Border Esk Fencing Ltd. we manufacture and supply all sawn timber products required for agricultural fencing. Our huge yard containing lots of workshops and machinery enable us to produce posts of various sizes with different finishes. Posts are put into the peeling machine to de-bark and peel the wood giving a more natural shape and finish. For the rounding process, posts are put into a rounding machine to shave the wood to a specified diameter giving a uniformed roundness. Pressure treatment can also be applied to preserve the posts and extend their life ensuring durability and longer resistance from being destroyed by fungus and insects. 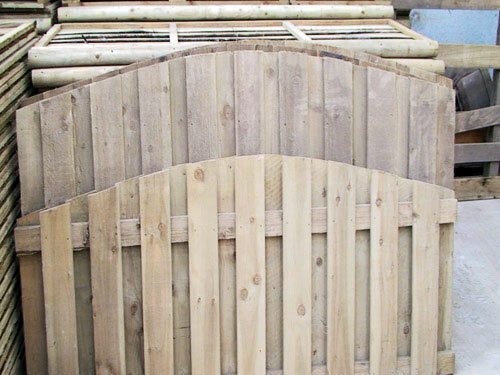 We also manufacture high quality garden lap panels and heavy duty panels. Our high quality materials and craftsmanship ensure the panels we produce will withstand whatever Cumbria weather has to throw at us. Instead of going to stores that sell flimsy mass produced panels why not pop in and see the difference in quality of our panels. But that’s not all, at Border Esk Fencing Ltd you’ll find everything you need to install new fencing from fence posts to finials or even gravel boards, we have it all.